Associated Staffing is an award-winning staffing agency with locations in Grand Island, Hastings, Kearney, Omaha and Columbus, Nebraska. We are your staffing solution! When you apply with Associated Staffing, your application is available for more than just one job opportunity. Our Job Board lets you see current openings, & our online application makes it easy for you to get your name into our database. There is no costs to job seekers using our staffing services. We assist businesses in a variety of industries to achieve their goals. 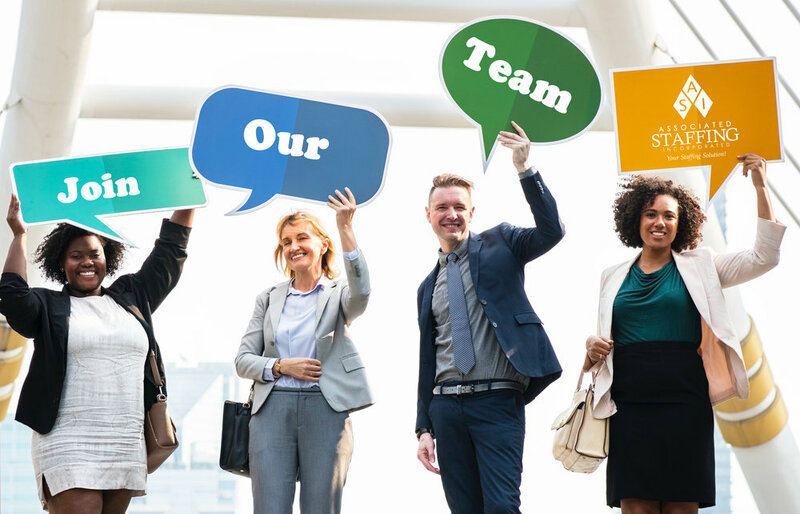 Our team of skilled recruiters have the expertise to take your business to new levels of success & to be a true extension of your human resources department. We are your partner & we want to see your business succeed. From our team of recruiters to our sales force to our corporate support, we are passionate about what we do. This passion drives us to take a shift at a local production company so that we understand better what kind of candidate our client is looking for. Our passion drives us to visit our associates on the job site when they start a new assignment just to ensure their day is going smoothly. To say that we like our jobs would be an understatement. © 2018 Associated Staffing Inc.